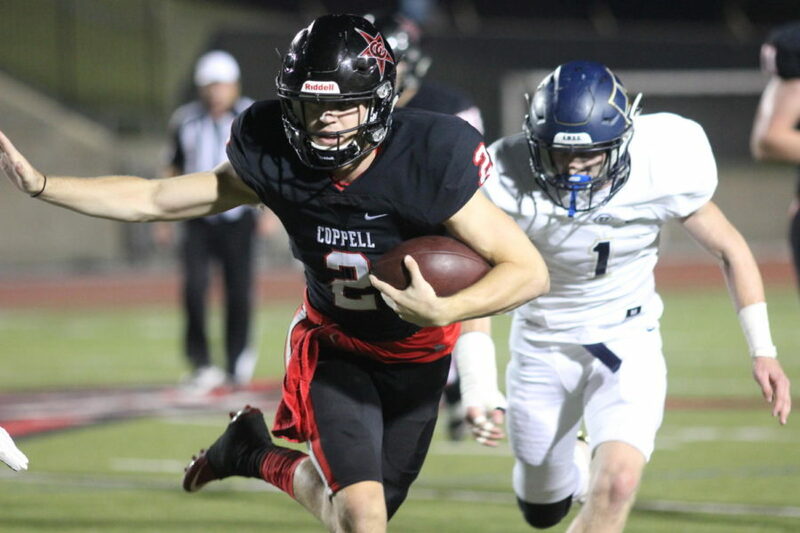 Coppell Cowboys senior quarterback Brady Mcbride runs ball-in-hand during the second quarter on Sept. 29 at Buddy Echols Field. The Coppell Cowboys win against the Jesuit Rangers, 63-41, during the second home game of the season. 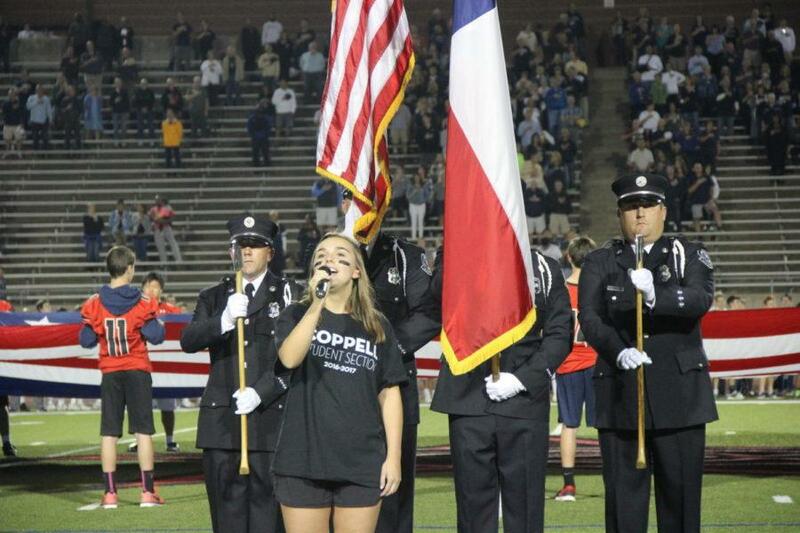 Coppell High School senior Katie Love sings the National Anthem on Sept. 29 at Buddy Echols Field in honor of the courageous men and women who serve the United States. 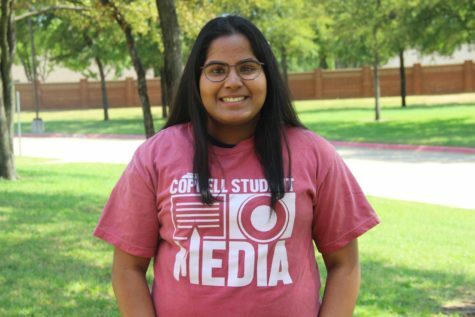 The Coppell Cowboys defeated the Jesuit Rangers, 63-41, during the second home game of the season.